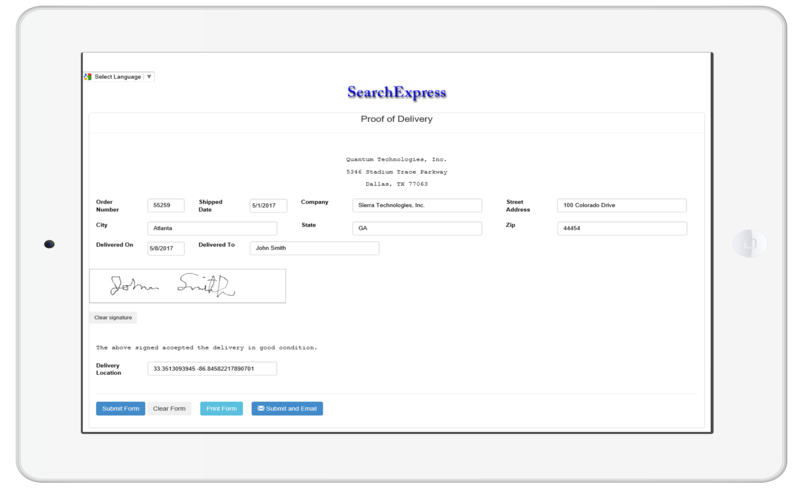 SearchExpress Document Management lets your customers sign Proof of Delivery documents on your iPad or other mobile device. For delivery or shipping documents that require a signed proof of delivery (POD), SearchExpress can show these on an iPad or smartphone. Your customer can sign their signature on the iPad, saving you the expense of printing and later scanning these proof-of-delivery documents. In addition to searching and approving documents from your desktop PC, you can access documents from your iPad, iPhone, or Android. Proving your customers have received the goods and services you delivered is simple. You can search and email the signed proof-of-delivery document, or you can let your customers search and view the POD's. Save time and money because you do not need to print delivery documents. Save time and money because you do not need to scan signed delivery documents. The driver has an iPad or other mobile device. SearchExpress automatically generates the Proof-of-delivery document on the iPad, by reading the proof-of-delivery data from your Sales Order system. SearchExpress can use the geolocation to read the correct record from your Sales Order database, based on a matched GPS address. The proof-of-delivery document is displayed on the delivery driver's iPad or smartphone, and the recipient can sign their signature with their finger. The signed proof-of-delivery document is written, over the Internet, to your server. 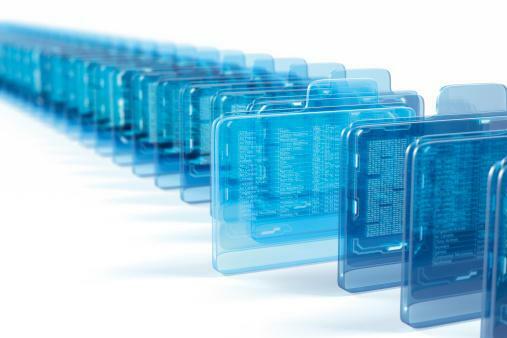 SearchExpress can also write the proof-of-delivery data to your Enterprise Resource Planning or Sales Order system. You can search POD's by typing in a word or phrase in your browser. Also, you can search by highlighting a search word or phrase in your ERP or other applications, including Oracle eBusiness, Lawson, PeopleSoft and SAP. SearchExpress Document Management lets your customers and employees fill out and sign forms over the Internet or intranet, using a PC, iPad, iPhone or other smartphone. For POD search features, click here. For POD capture and indexing features, click here. For POD workflow and alert features, click here. SearchExpress can be deployed on-premises or in the Cloud.